Chatham airport (CQX) is a community of amazing people. The instructors are top notch. The mechanics are friendly and highly skilled. The pilots are some of the best around. Everyone seems to love what they do at CQX and it shows. Whether its a mechanic staying late to help you study up on engine systems or an instructor going the extra mile to help you pass your exam everyone is willing to lend a hand. CQX is by far one of the best places to learn to fly! Do you think you can fly? We do too. 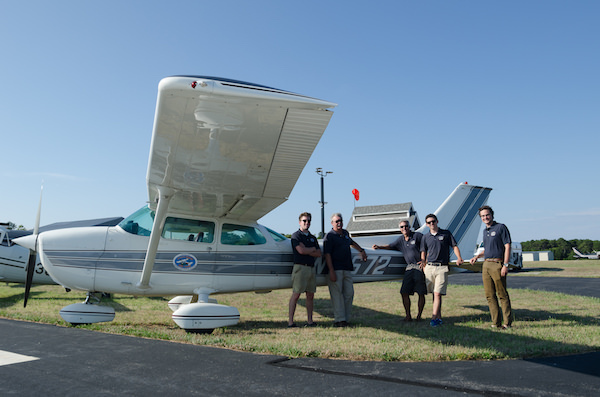 At Stick'N Rudder we strive to provide you with top quality flight training. It's as easy as 1-2-3! We will happily answer all your questions and get you started on your way to earning your Pilot's Certificate! Schedule a "no charge" orientation to the process, the requirements and estimated cost. STEP 1: CALL STICK'N RUDDER TODAY! STEP 2: BOOK AN INTRODUCTORY RIDE! Choose from any one of our qualified instructors, and choose a time. We will accommodate your schedule because we understand that you have a busy life. STEP 3: START YOUR TRAINING! After your introductory flight you can either schedule your first lesson right then and there, or you can call after you've had a chance to look at your schedule. Either way, we offer flexible scheduling to accommodate your needs. We can train you through Private, Instrument and Commercial certificates. For the already certified pilots, we offer Flight Reviews. Apprehensive or uncertain about flying? Is it really for me? I've always wanted to do it but didn't have the time or resources. We're ready if you are. Call us today at 508.945.2363 and let your dreams take flight! 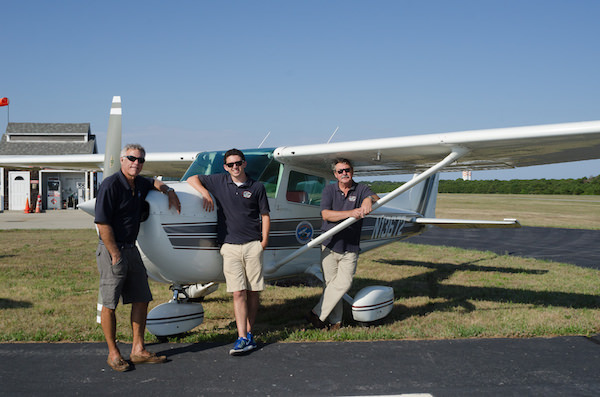 Beginning your flying lessons is easier than you think. Just give us a call to schedule and you are on your way. You will begin learning on your first flight, taking the controls of the aircraft and performing basic maneuvers. Your highly qualified, experienced instructor will guide you through the flying lesson, starting you on your way to the experience of a lifetime. We offer flight training for private pilot, instrument rating, and commercial rating,. We know that the best pilots begin with good instructors. All of our instructors enjoy what they do, which makes your experience even richer. Our instructors are all experienced pilots, and have flown many types of aircraft and are available 7 days/week, year round. We understand that you have a busy schedule, so you schedule lessons to meet your needs. We are open seven days a week to ensure you the most flexibility. Call or email us with your questions, we are more than happy to answer them for you. HOW OLD DO I HAVE TO BE TO TAKE FLYING LESSONS? 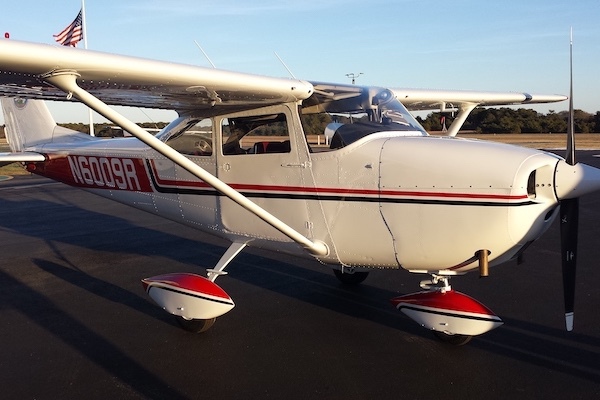 Student pilots succeed best when they are highly motivated themselves to take lessons. A student pilot may earn their Pilot Certificate at any age after 17. We have students from ages 13 to 70+. Take an introductory ride, visit our hangar to check out the airplanes, talk with us and your instructors about your interest in flying at any age. WHAT ARE THE STEPS TO GETTING A PILOT'S LICENSE? To obtain a pilot's license you will, select the best flight school (hint, hint), best instructors (hint, hint) pass an FAA flight physical, take a written test, complete your flight lessons, take an oral exam and a practical flying exam from a Designated Flight Examiner (DPE). This is what we do, preparing you to be a safe and prepared pilot for the tests and your future as a private pilot. WHAT DOCUMENTATION DO I NEED TO BEGIN MY LESSONS? For U.S. citizens, you will need a proof of citizenship document, either a current U.S. Passport, or an original Birth Certificate AND a government issued photo ID. If you are not a U.S. Citizen you will have to register with the Transportation Security Administration (TSA) to obtain authorization. We are familiar with this process and make it as easy as possible to get approval. We can provide you with information to assist you or you can visit the TSA website or Aircraft Owners and Pilots Association (AOPA) for more information. HOW MANY HOURS DOES IT TAKE TO LEARN TO FLY? The Federal Aviation Regulations state that a person who applies for a Private Pilot Certificate must log at least 40 hours of flight time. The national average is 55 hours. You and your instructor will determine the best lesson schedule for you, including frequency and length of individual lessons. Once you hit that all-important and thrilling solo flight sign-off, you can continue to earn the required hours at your own schedule and pace until your instructor believes you are ready to complete the process and are qualified to take the FAA flight checkride. WHAT WILL I NEED TO START MY LESSONS? Proof of citizenship and an appointment with us is all you will need to start. HOW SAFE ARE FLYING LESSONS? Our instructors are focused on safety and have flown in many different types of aircraft. Our training aircraft have two sets of controls so the instructor is always at the ready to assist you with any training opportunity that arises during a lesson. Our aircraft are also carefully maintained by uncompromising FAA certified mechanics & inspectors at regular intervals. We occasionally will reschedule a student pilot's lesson due to routine aircraft maintenance or weather, this is completely normal in the flying world. CAN MY DOCTOR GIVE ME A FLIGHT PHYSICAL EXAMINATION? Only if your personal physician is an FAA approved Aviation Medical Examiner (AME). If not, you can find an AME here. WHAT IF I HAD A PILOT'S LICENSE AND HAVEN'T FLOWN IN YEARS? CAN I COME BACK? Well, of course you can come back! You need a current Medical (AME) and Flight Review (FR) with one of our instructors. We will take all the time you need to brush up on your knowledge and skills to get back in the sky! Renters' Insurance is not required. However, it is always a good idea to have. Renters' Insurance covers a pilot's out-of-pocket cost in the event a renter damages our aircraft. IS STICK'N RUDDER A FLYING CLUB? We are not a flying club. There are no membership dues or other hidden fees. You fly when you want and you pay only for instruction and flight time. HOW DO I SCHEDULE THE PLANES? CALL NOW AND LET'S GET STARTED!